Juicing To Infinity and Beyond! Yup, that’s right. We all do. I can totally see how Joe and Phil (From the film Fat, Sick and Nearly Dead) must have felt too. They fasted for 60 days! Which, in my mind, seems TOTALLY unrealistic. For starters, they weren’t mothers of small children and were able to “take time off” from their jobs to do their fast. I asked Riley if I could have time off to just go to the gym and he hesitantly replies, “You’ll be back later?What are you gonna bring me?”. So needless to say, that’s out. But what’s IN is juicing daily! Since my husband and I started this thing five days ago we’ve been juicing for breakfast. I’ve also been juicing in the afternoon. I can’t tell you the difference I’ve seen in my overall well-being! My skin is clearer and glows more, I have more energy, I feel lighter and I’m able to think more clearly. Plus, I’ve effortlessly lost two pounds! Water pounds, toxic waste pounds, hormone pounds–whatevs! They’re still pounds and they’re still gone in my book. The hubs looks and feels great too. He’s got a healthy glow about him, he’s been running daily at the gym and he looks even more lean. Ow! Ow! Love you, babe! So what have we been juicing and drinking the last few days to get these results? Well, I’ll show you. I like to start my day with a juice that contains beets. Beets give you so much energy! 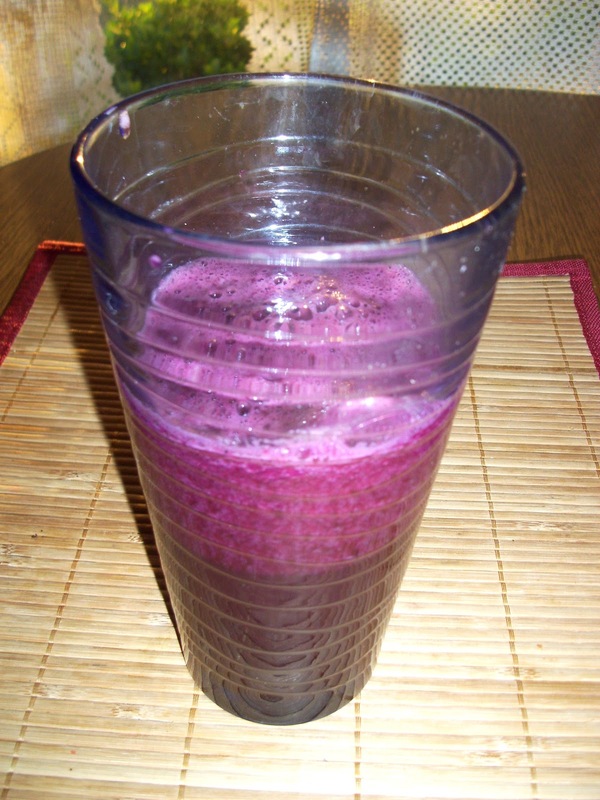 This was a collard, cucumber, celery, ginger, lemon, apple and beet mix. I’ve typically been doing this one daily. I know, I know, sounds like a lot. But, you can do as many or as few as you like! 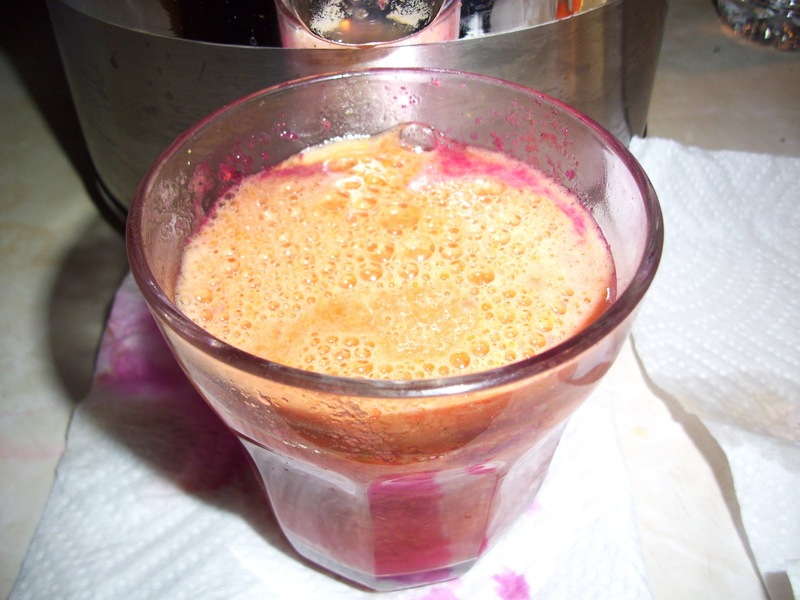 I’ve just been experimenting and juicing like I would create a salad! The more the merrier! Riley LOVES the juice! Key word: juice. NOT juicer. He wants nothing to do with it. He just shouts out his order to me like I’m a short order cook instead. His favorite is the carrot-“Tambourine”-strawberry mix. Tambourine=tangerine in case you didn’t get that. My afternoon is the opposite of my morning. Meaning, I focus on the greens in the morning and then foods higher in carotenoids in the afternoon. 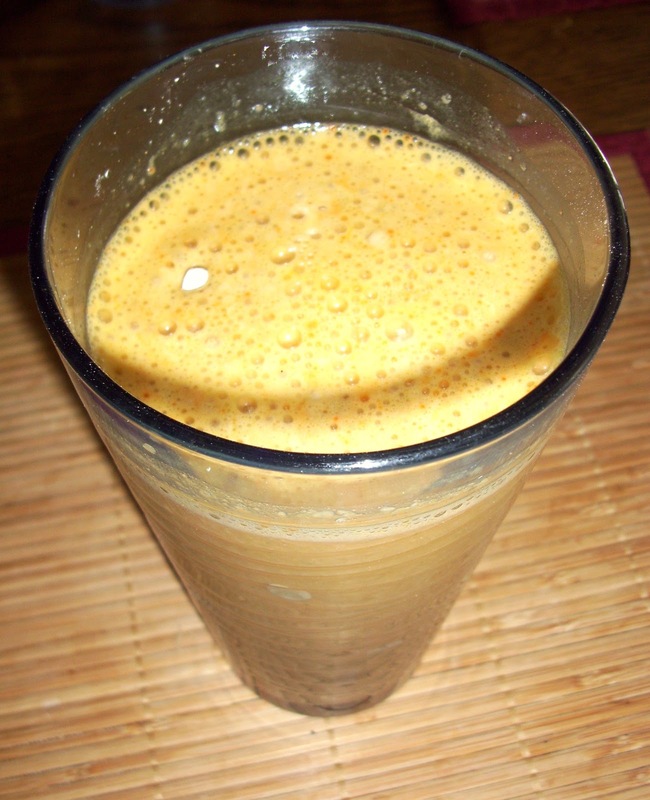 What I’m loving right now is carrot, tangerine, spinach, ginger and orange. Gives me a pick me up in the afternoon without having to turn to something unhealthy. The white stuff floating in it is my protein powder. Nutribiotic Vegan Vanilla Rice Protein Powder. Gives me 15 grams per scoop, only 60 calories and 2 carbs. Love that stuff! When I am packing up his lunch the night before, I get this little box ready for him and stick it in the fridge. He pulls it out, juices it, drinks it and he’s off to the gym. At 4am! The man is a machine! And I gotta say it makes me feel good that he’s juicing. He still eats whatever I give him (never buying his lunch, I’m proud to say!) but like most men, he could still use more servings of fruit and veggies. Knowing that he’s starting his day off with a concentrated source of goodness just makes me all warm and fuzzy! What good is good health if YOUR the only one living a long life? I don’t know about you but I don’t want to look fabulous and live too 100 by myself! You MUST take your family with you! Now what ELSE have I been eating? You know me. The usual… OK, OK, I’ll cough up some pictures. Since you twisted my arm! canellini beans and fresh parsley. 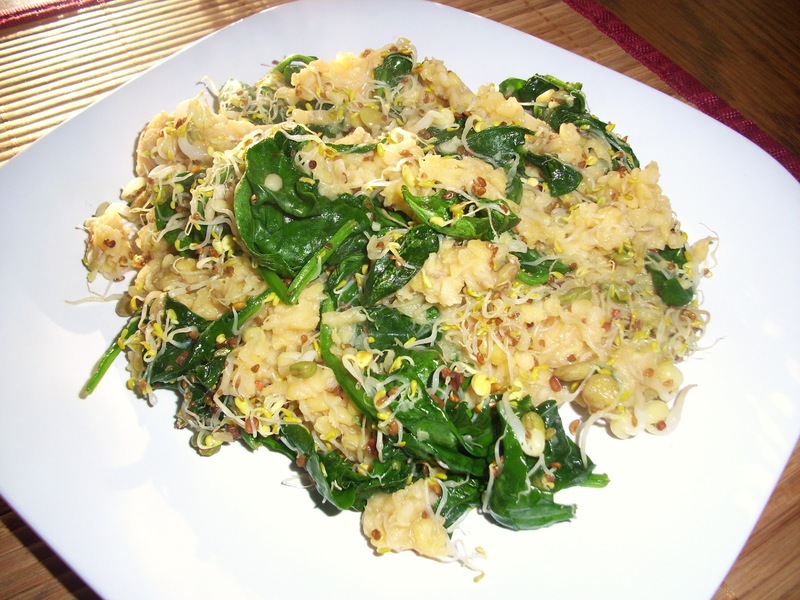 Lemony yellow lentils with homegrown sprouts and sauteed spinach. 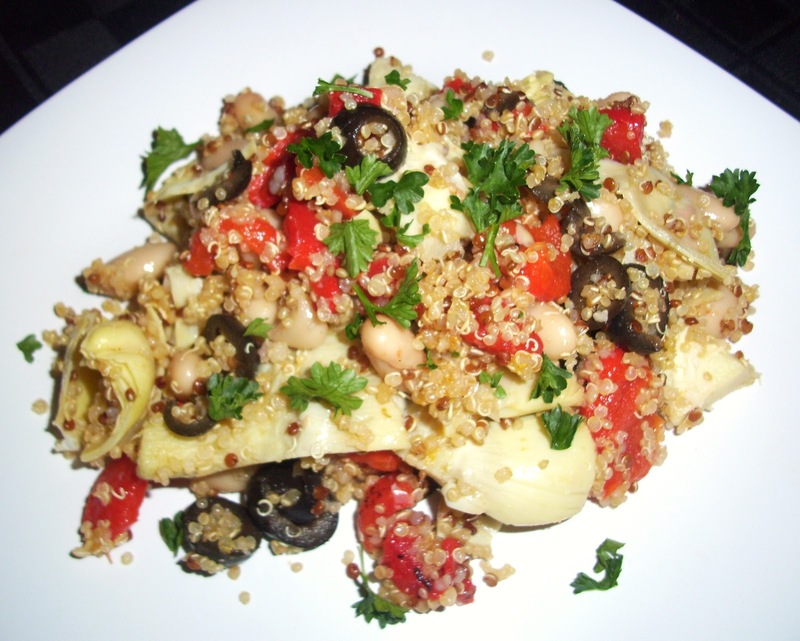 The very first recipe I tried from my Tosca Reno’s The Eat Clean Diet Vegetarian Cookbook.. So full of flavor! Who knew Kimchi was so good? Cuz your in trouble for not telling me sooner! Well, that pretty much sums up our juice “fast”. We’re definitely going to keep this up! I just love drinking my greens in addition to chewing them. It’s like drinking some kind of power juice I tell ya! If you’ve never done it, you have to try it! It’s truly, really, truly, exhilarating! Really. That being said, we’re obviously going through fruits and veggies faster. So today, I went to the local Farmer’s Market and was able to stock up on an obscene amount of fruit and greens for only $20. Riley was so excited to go and help me pick out his favorite fruits and vegetables too. I know I’ve said it before but it really makes me proud knowing that I’m showing him the right way to live. That the food we were meant to consume doesn’t come from a package with ingredients you can’t pronounce but from the beautiful Earth that the good Lord created. I really hope you’ll give juicing a try. Even if you can’t afford a juicer. You can totally swap your daily Starbucks drink for a raw juice at Juice It Up! for a week. And why stop there? 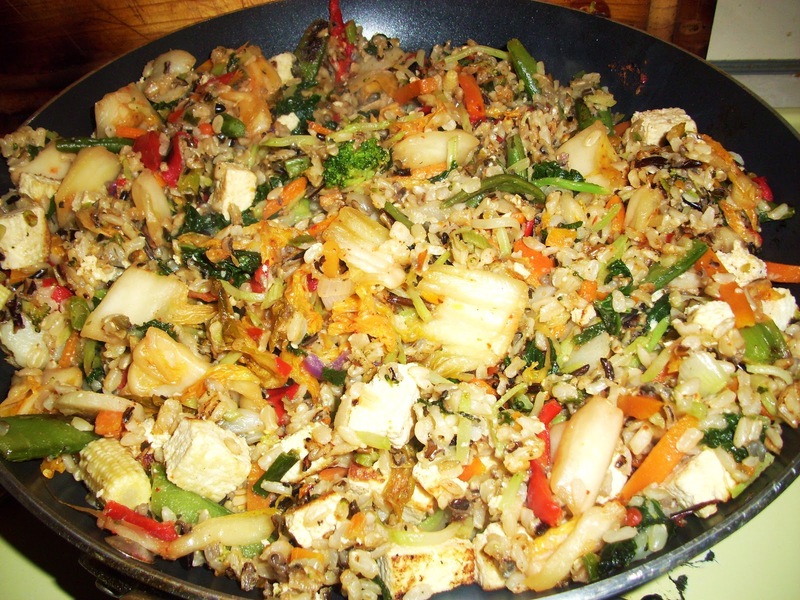 Why not give Vegan eating a try? Just for a week. What do you have to lose? I promise you that you’ll feel 100x better then you do right now! Check out this link if you need some help getting started. And let me know. I love reading your emails! Best of luck and cheers to our health! Previous Post All that and a side of Vegan Caesar dressing! Next Post Chocolate Chip, Peanut butter, Banana "Ice Cream"
this is wonderful! i bought a juicer yesterday and started today with a juice breakfast. i had gastric bypass 4 months ago and i feel sluggish and sleepy often. I take all the recommended multi's and things but still felt gross. I'm in no way a vegan or vegetarian however, im hoping that drinking my daily fruits and veggies will help me start to feel better…. I've been hestitant to do this becuase of the hgh amounts of sugar in sweet veggies and fruti. Do you have recipe suggestions that will give me what i need daily WITHOUT dumping amounts of sugar? I appreciate this blog! It has encouraged me to do this!! Hi Antea! 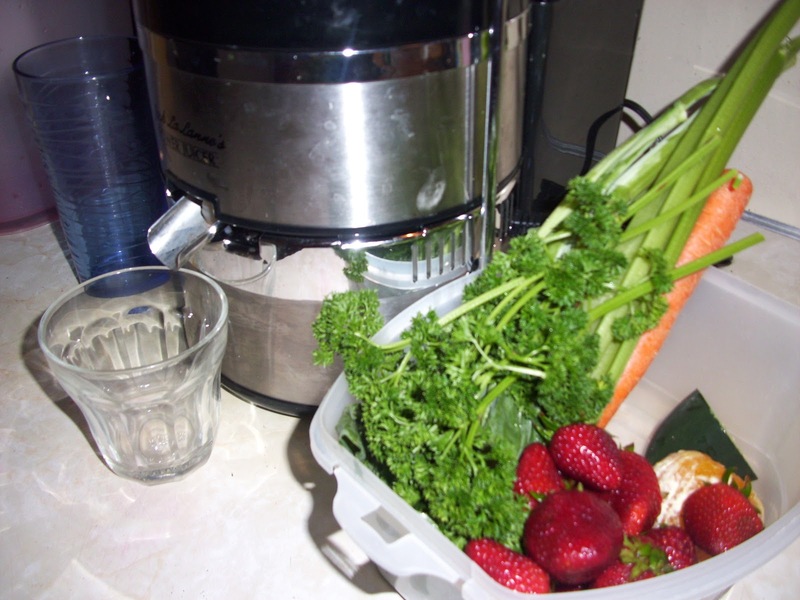 Juicing is amazing! Vegan or otherwise. To prevent dumping, juice more greens then fruits. Only enough fruit to make it palatable. Or even better leave the fruit whole and add it to a smoothie. I like to make my juice then add it to the blender with protein powder and a frozen banana. This also helps with dumping. My favorite veggies to juice are celery, cucumber, spinach, kale and collards. Hope that helps! Good luck and keep me posted!